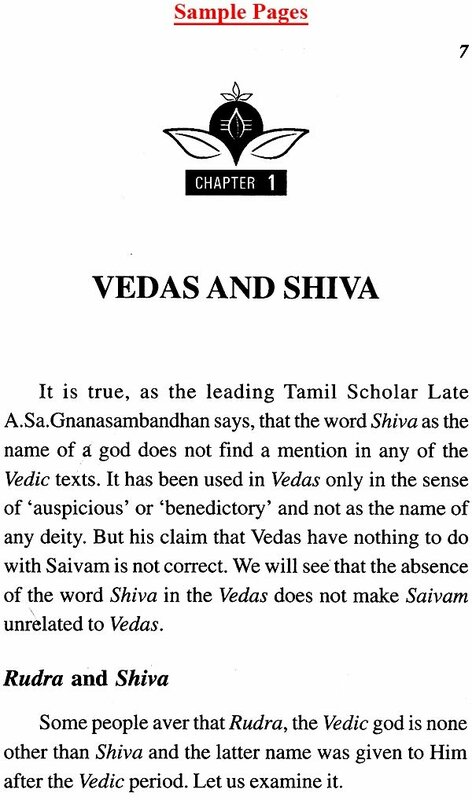 This book was originally written in Tamil as a response to certain arguments of some leading Tamil scholars who have opined that Vedas have nothing to do with Saivam, which has been from time immemorial nurtured in Tamilnadu. But they can not refute the fact that many Saivite saints have referred to the Vedas' close relationship with Shiva, in their hymns. 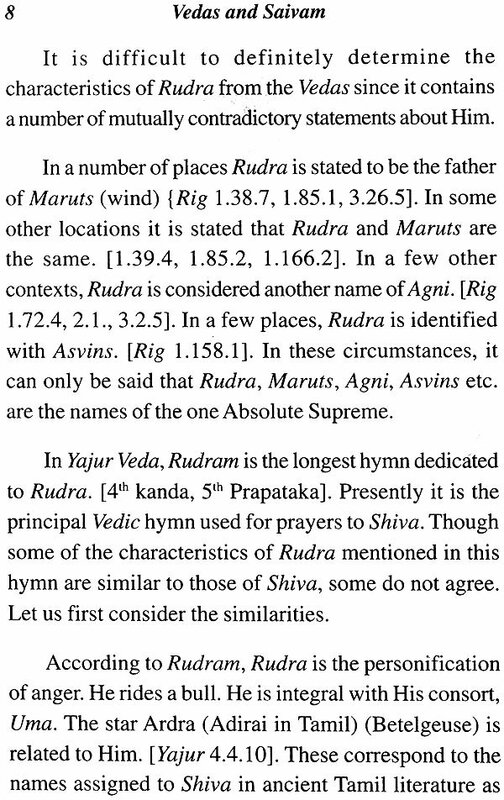 Some explain it saying that their reference is not to the Rig, Yajur, Sama and Atharvana Vedas but to some other books which have now become extinct. No proof has been given for the existence of this other Veda. It is quite evident that this proceeds on false premises and is spoken out of prejudice towards the Veda and their protagonists. 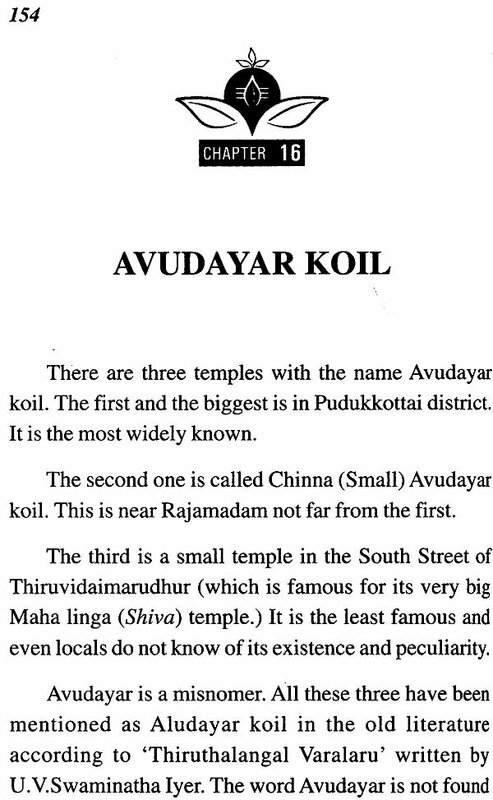 To clear the air, this book was earlier published in Tamil presenting facts from various sources about the close bonds between Vedas and Saivam. 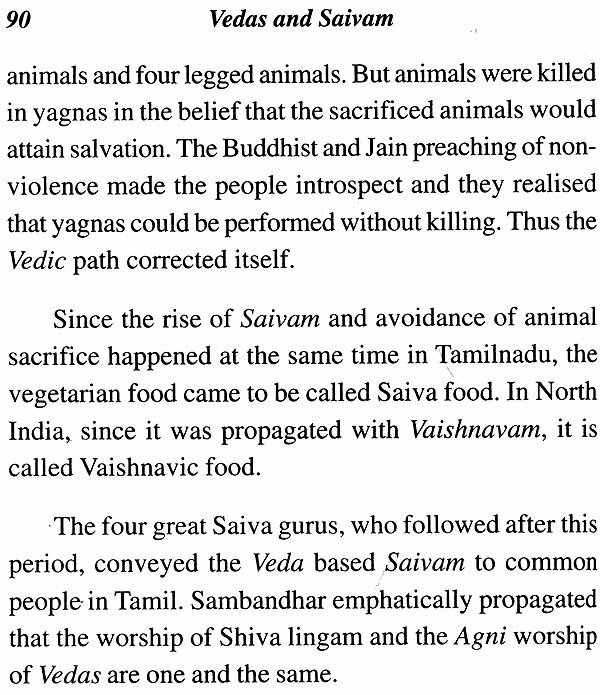 It traces the history of Saivam in all its aspects from the period of Vedas up to the modern days and proves that Saivam, a sect of Hinduism, is a product of evolution over a period of time as the Vedas themselves have evolved over years. 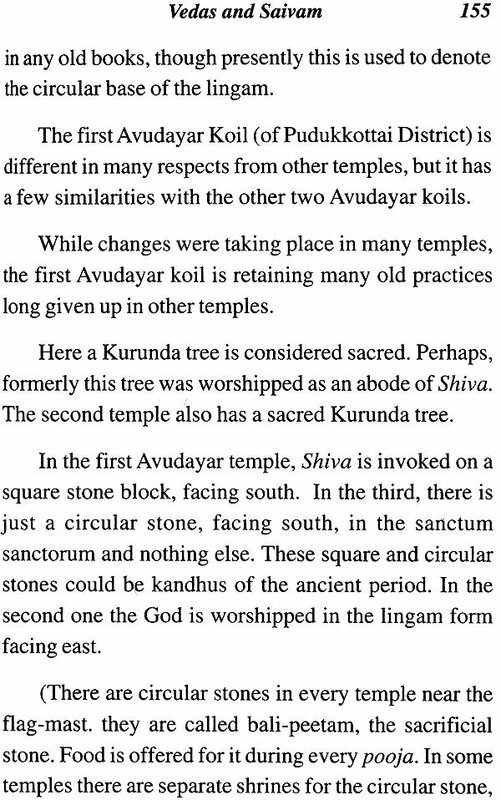 It has also presented some views on how the faith and Shiva worship can be made more widely acceptable and followed among the Tamils. Having gone through the Tamil version, Mr S.Ponnuswamy, a Retired Railway officer, hailing from an old Saivite family, translated it into English for the benefit of some of his family members, who were not well conversant in reading Tamil for them to learn about the growth of Saivam and its relationship with Vedas. Having done it, he passed that text on to me with a suggestion for publishing it for wider circulation among such persons in the country and abroad. I have taken the opportunity to re-edit it with the addition of some more information. I am thankful to Mr. Ponnuswamy for the gesture and suggestion.